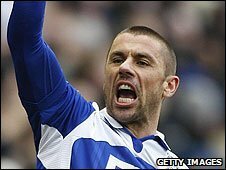 Birmingham striker Kevin Phillips has signed a one-year contract extension to keep him at St Andrew's until 2011. The 36-year-old featured in 24 games, 20 as a substitute, for Blues last season, scoring four goals as they finished ninth in the Premier League. Birmingham boss Alex McLeish told the club website: "As any player gets older his legs go a bit but Kev has still got it because he plays with his head. "He bought into being an impact player for us if the team is under pressure." Phillips signed for Birmingham on a free transfer from West Bromwich Albion in 2008 and has scored 18 goals in 62 appearances. The 5ft 7in striker has played 542 games overall, scoring 253 goals in a career which has included stints with Watford, Sunderland, Southampton and Aston Villa. During his time at Sunderland, Phillips formed a formidable goal-scoring partnership with 6ft 4in striker Niall Quinn. But McLeish denied he was trying to construct a similar partnership with his new 6ft 8in Serbia striker Nikola Zigic, who signed for Blues from Valencia for £6m in May. "I'm aware that if Kev comes on and partners Nikola that comparisons will inevitably be made of when he played up front with Niall [Quinn] in those Sunderland glory days," said McLeish. "That was a long time ago when Kev was in his prime but he has still got a great technique and so that partnership is an option. "We are looking to continue to develop and strengthen the squad and the infrastructure at the club but it's also a season for me not to take any chances. "I'm looking to bring in players that I know - and that's another reason why it's great to still have Kev as part of things."